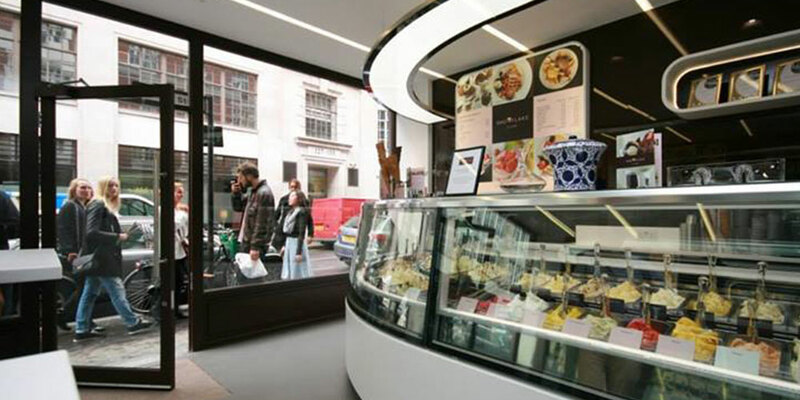 The second store of luxury gelato ‘Snowflake’ is located in central Soho on Wardour Street. 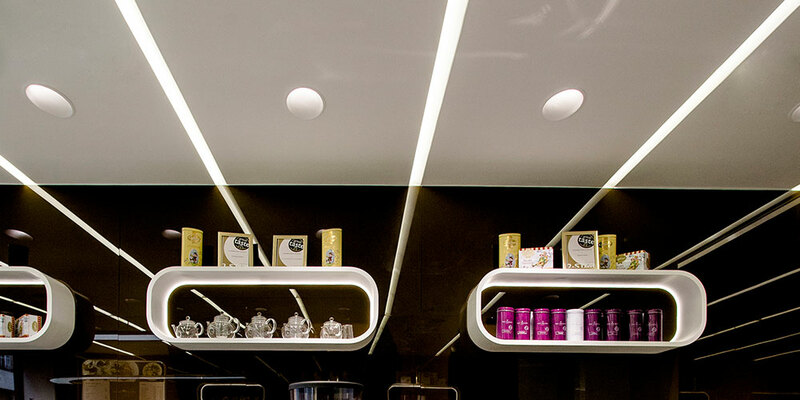 Optelma Lighting worked with designer, Lifeforms, to create a bespoke lighting solution for the 1300 sq ft store. This was achieved using Atelier Sedap’s range of plaster profiles, cut to create made-to-measure lengths, to ensure a seamless finish. The ceiling above the showpiece moulded counter – the largest gelato counter in London – is lit by Atelier Sedap’s Micro Blade 63, a high-strength plaster LED profile. Running the full width of the ceiling, this integrated linear profile creates a clean, crisp feel, which generates a sense of space, while providing ambient light. 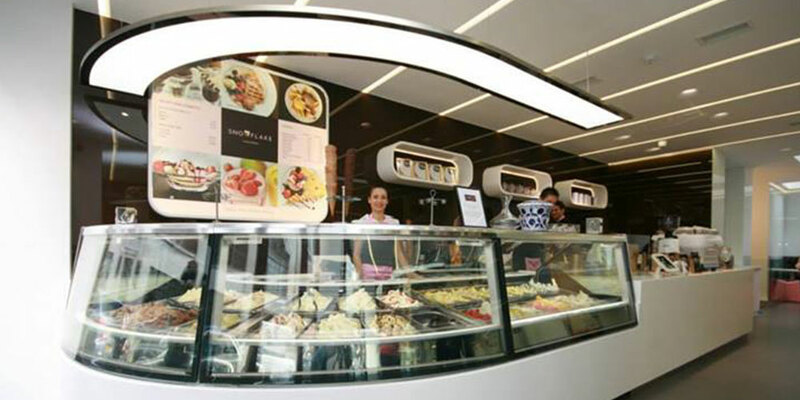 This is complemented by Atelier Sedap’s Dag range of recessed plaster downlights, which highlight task spaces and areas of interest, such as the serving areas, customer seating and the shop front. The Dag Ellipse, with its asymmetric shape, washes light onto the walls, illuminating the perimeter of the room, while the Dag Rond adds interest, providing a decorative element behind the glazed shop front and in the centre of the main area, thereby maintaining symmetry within the store.